By Andrew Liszewski on 08/09/10 • Leave a comment! Had to leave your life of ‘rebellion’ behind for a 9 to 5 job sitting in a cubicle? Well now you can relive a bit of your youth and lost freedom by backing up your TPS reports and spreadsheets on this limited edition Dr. Martens USB flash drive. 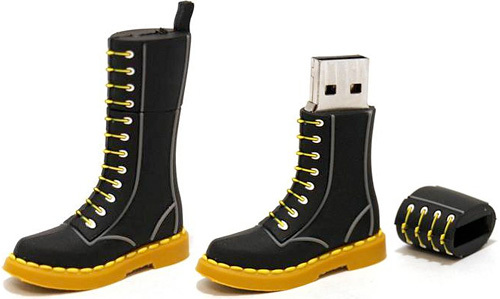 It’s shaped like one of their classic boots, and even though the doctor prescribed just 2GB of storage, it will set you back $25 from their online store. 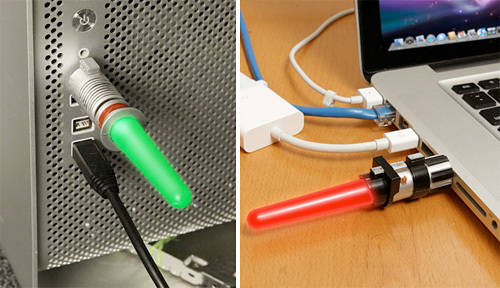 These days it’s hard to be taken aback by a weird USB flash drive design, but I’m left utterly confused by this pipe cutter, or ‘coupe tube’ that Brando’s selling in 2, 4 or 8GB capacities for $16, $19 and $31 respectively. I mean maybe if it was an actual functioning pipe cutter it could appeal to plumbers as a sort of industry-spanning multi-tool, but it isn’t! It’s made from rubber and probably couldn’t even successfully cut through a single piece of al dente cooked spaghetti. So, um, yeah, unless you’re a corporate spy who’s gone deep under cover as a plumber at a rival company, I can’t really see this drive appealing to anyone. 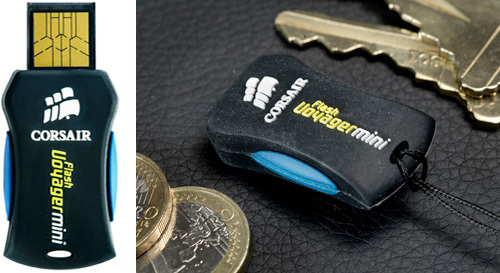 Corsair’s Flash Voyager drives have always been on the cutting edge of flash drive technology whether it comes to capacity or read & write speeds, but their new Voyager Mini drives are less about performance, and more about being tiny. Like their bigger brothers, the Voyager Minis have an ergonomic rubberized housing making them easy to grip and connect/disconnect from your PC, and instead of an easy-to-lose cap, the drives feature a retractable connector. At the moment the Voyager Minis are available in capacities ranging from 4GB (~$15) to 16GB (~$50) with a 32GB model also on the way. The first thing you probably said to yourself after seeing the MotKey was, “Wait a minute, didn’t LaCie already release a key-shaped USB flash drive?” And the answer to that of course would be yes. 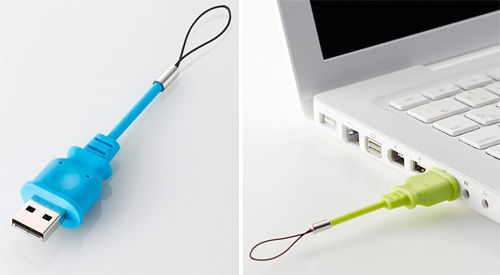 But LaCie’s keys feature slimmer form factors, stainless steel finishes and larger capacities. But what the MotKey has going for it is a rubberized finish and a design making it look more like a key to your car, perfect if that’s a feature at the top of your flash drive wish list. 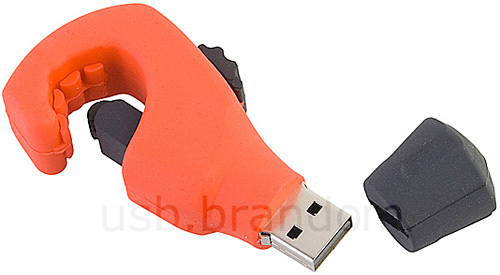 It supports Windows, Macs and Linux systems and presumably any other OS or device that claims flash-drive compatibility, and is available in a 4GB version for $14.95 or an 8GB version for $24.95. 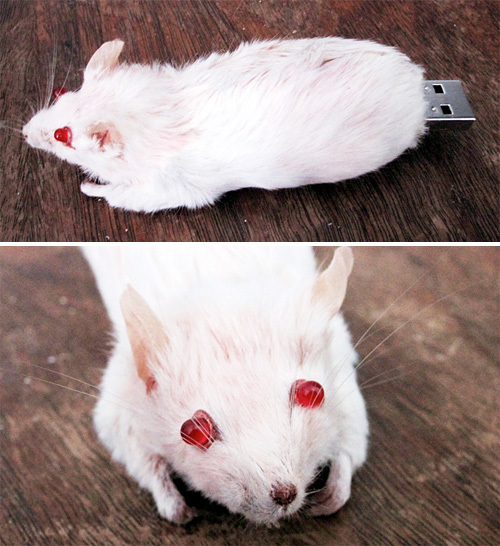 I’m not familiar with the backstory on how or why this mouse was converted into a USB flash drive complete with blinking red LED eyes, but I’m going to assume they died peacefully, surrounded by their family, friends and loved ones. What I do know is that those red eyes really creep me out, and however they went, I feel a bit sad knowing they didn’t live long enough to get closure on what Apple will finally reveal later this morning.